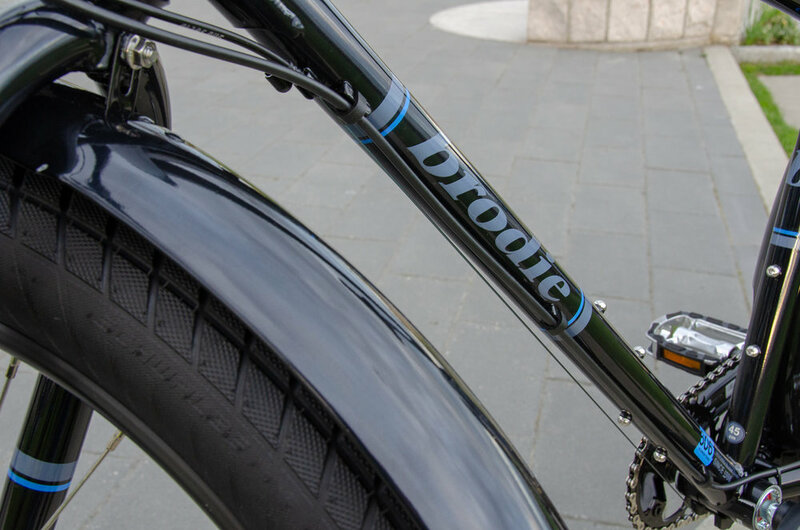 Torque has been tested for two years now, and has evolved in to this ‘Motard’ style of city bike. 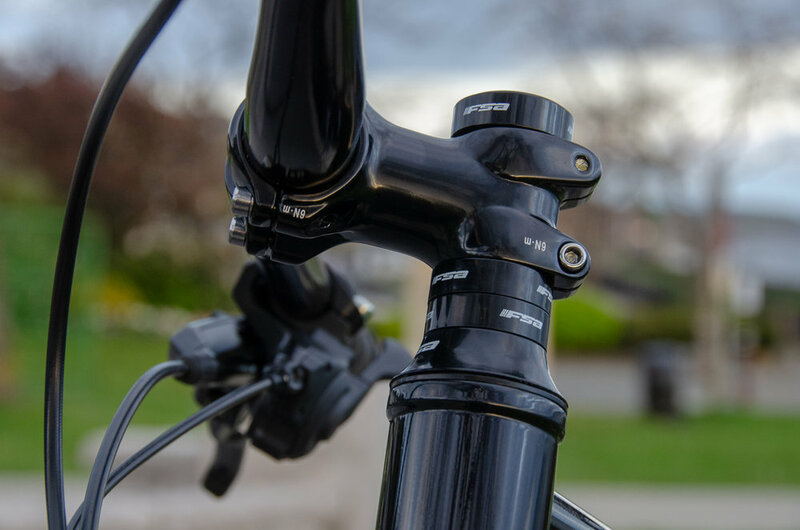 The CroMo frame with cast dropouts is a modern mountain bike frame, designed for large tires and a rigid fork. 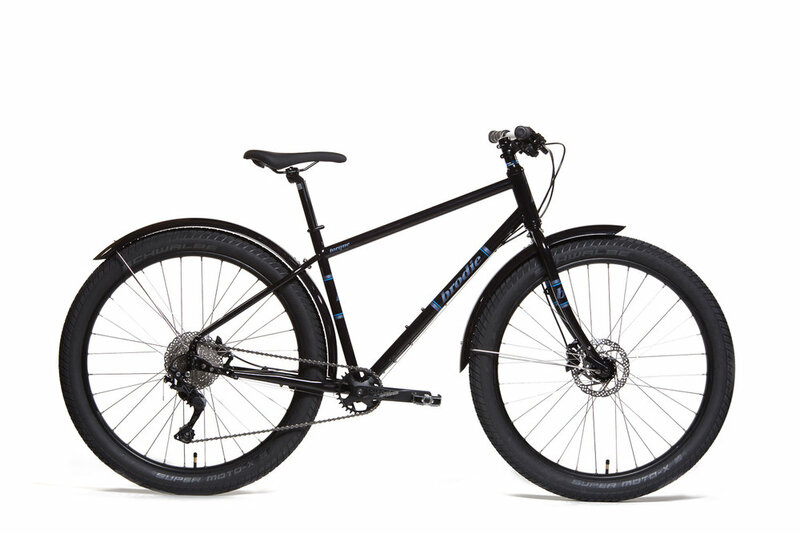 The Torque has 650b wheels and large 2.8" tires for all around-‘ness’, wide 760mm Mountain Bike style handle bars for control and aggressive stance to match the tires, Shimano hydraulic brakes, and a 1x10 Speed Drivetrain make this one of the most unique bikes on the market. 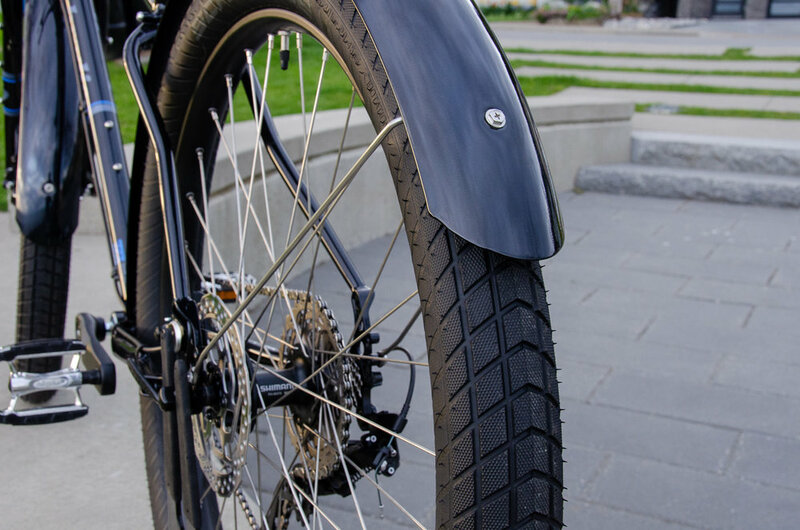 Torque could be a city shopping bike, an urban commuter, a hooligan city sprinter, or a trail bike out of the box. The Torque can do so, so many things! 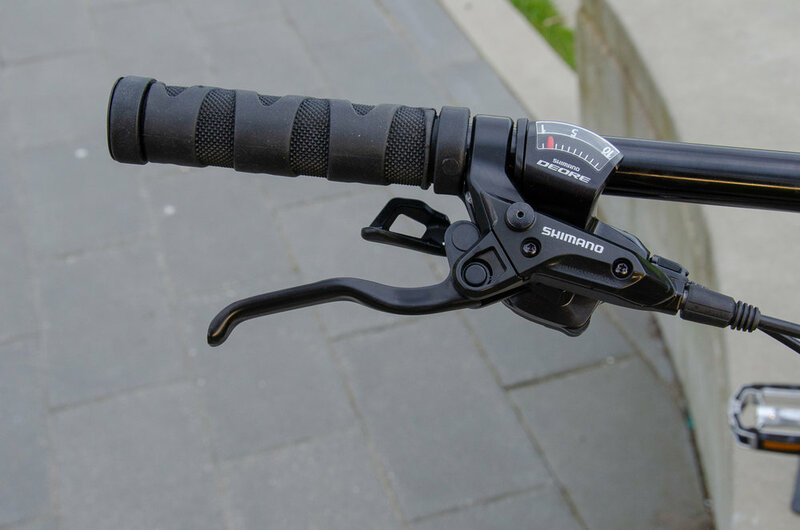 The Torque inspires confidence for so many different types of riding. Urban & suburban commuters riding roads, trails, dykes, stairs, alleys, pathways, grass, parks (...& pumptracks?!) on a relatively upright yet fast frame. Or urban explorers when the pavement ends just keep going, gravel, bikepacking, light mountain biking. Big Tires, Big Fun, Big features ! 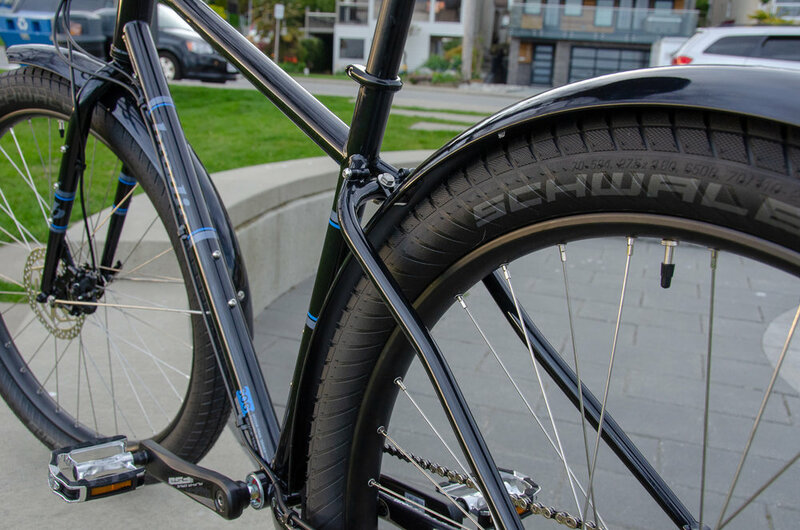 The Torque is designed for super simple maintenance and operation with very large Schwalbe Moto-X 2.8" tires for superb comfort, traction, control, flat-prevention and mixed terrain riding. 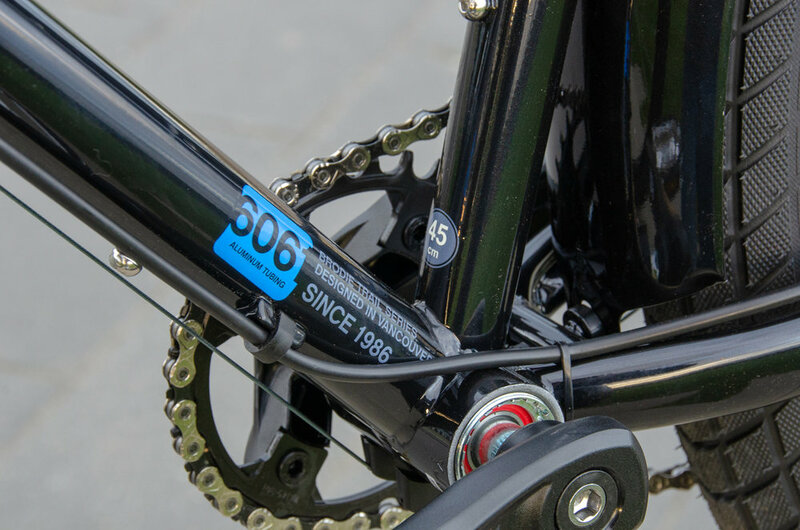 The 1 X 10 drivetrain with a 30 Tooth front chain ring paired with a 11-36 Tooth rear cassette provide an extended range and versatility while maintaining a very simple operation with no need to worry about the complexities of a front derailleur. 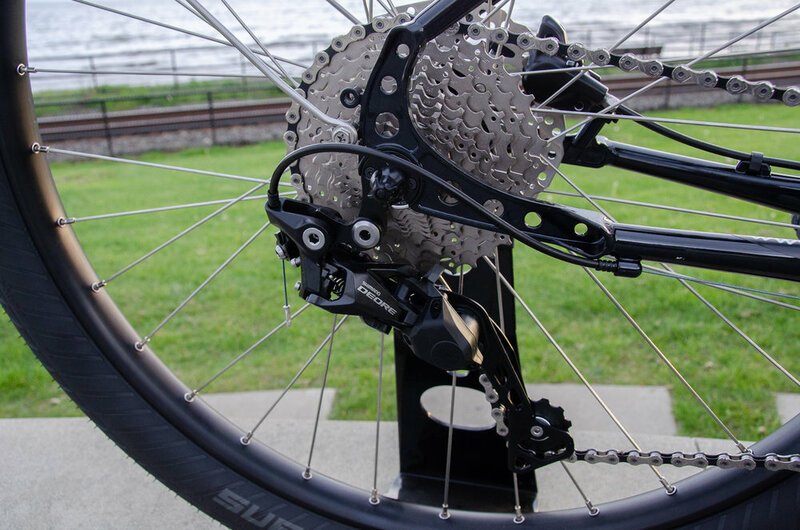 Shimano Hydraulic Brakes maximize stopping power in any condition, wet or dry, paved or dirt.